The ability to collaborate as part of a team. For the lawyer/athlete, these themes resonate in our professional and personal lives. Some of my most important mentors have been my athletic coaches. My high school soccer coach (who also happened to be an esteemed trial attorney) gave me this sage advice as I was attempting to garner the attention of college coaches: Talent gets you noticed, character gets you recruited. This advice stuck with me from age 16 and today it guides my approach to the practice of law. Your talent can only take you so far in this profession. If you truly want to achieve professional success, you have to focus on developing the character to get there. The recruiter, managing partner, hiring committee, etc. isn't here to see you write a brief, close a deal, make an opening statement, or cross-examine a witness. They already know your stats. They've seen your highlight film. What they are looking for are the intangible aspects of who you are, the things that can't be quantified but make all the difference in how you contribute to the profession. How does your character, your civility, your professionalism make the legal community better? The most successful sports team in the professional era is not the Yankees, the Patriots, or Real Madrid, but a team from a far less known sport. 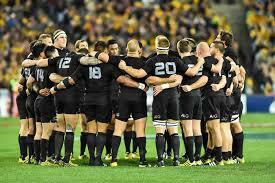 It is the New Zealand All Blacks rugby team. In the book, Legacy, author James Kerr discusses one of the All Blacks' core values for success: "Sweeping the Shed." The goal of every All Blacks player is to leave the national team shirt in a better place than when he got it. His goal is to contribute to the legacy by doing his part to grow the game and keep the team progressing . In order to do so, the players realize that no one is too important or too talented to do the little things required each and every day to get better. You must eat right. You must sleep well. You must take care of yourself on and off the field. You must work hard and train hard. You must contribute to the growth and betterment of the team. After each match, played in front of 80,000 plus fans and millions of TV viewers, after the camera crews have left, and the coaches are done speaking, when the eyes of the world have turned elsewhere, there is still a locker room to be cleaned. If the New Zealand All Blacks are sweeping their locker room, then why aren’t you out there helping younger lawyers, doing your part to improve the profession, and setting the example for others? Are you leaving the uniform in a better place, or counting the days until they retire your jersey? We're all in this together. While our personal success is important, the success of the profession is paramount. 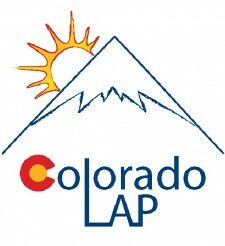 If Colorado's lawyers will commit to sweeping their own shed and developing the character of great teammates, we can make the profession of law in Colorado a national model for collegiality, sustainability, and achievement in legal practice. March 16, 2017 at 12:00 p.m.
Join Future Image Group to learn more about why we need to connect and how to overcome your fears and anxieties around professional relationship building. Intelligence is a gift, if used wisely. If higher IQ leads to angst, loneliness, frustration, and anger, then we are hardly using it well. Individuals with higher academic degrees tend to be harder on themselves because of the pressure to succeed, achieve, and perform. The need to justify one’s intelligence and credentials increases as we “climb up the corporate (or public service) ladder.” This contributes to the perfectionistic tendencies often experienced by attorneys. When we criticize the work of others and nothing is “good enough;” when we become belligerent towards ourselves and indulge in self-criticism; or when we procrastinate work because we’re afraid our final product will not be “good enough” to please others, anxiety results. It’s time to use that intelligence to improve your life; start today by metaphorically stepping back from the stress and pressure you are putting on yourself, and choose a kinder way to communicate with yourself and others.